Quick post today . . . and yes, I'm late posting my card. But great excuses. Yesterday was our Community's first ever Mystery Dinner Theatre (cooked by one club, served by another club and the play was by a third club). Lots of fun but a very busy day for me ~ I was involved ~ and a late night. And, since this weekend is the Leesburg BikeFest and we live close by, we left early with another couple for breakfast out and a day at BikeFest. Lots of fun, lots of bikes, but a bit warm for me (close to 90 degrees) walking around. However, the bike ride there and back was great ! 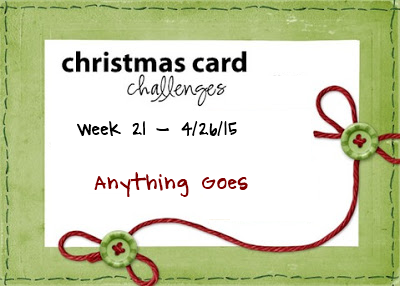 So, here's my card for this week's Christmas Card Challenge~Anything Goes. I'm really trying to learn this CAS cardmaking technique from our Team Leader, Alanna. She does it SO well. I heat embossed the sentiment with silver embossing powder. It looks great in person and looks so nice with my silver, textured snowflake~I only glued it in the center so the "arms" would have dimension. I used a black cardstock base to set off the burgundy-rust and silver colors. Please stop by the Christmas Card Challenges site to see what the others created this week. Better yet, get out your crafting supplies and join along. Beautiful CAS card. 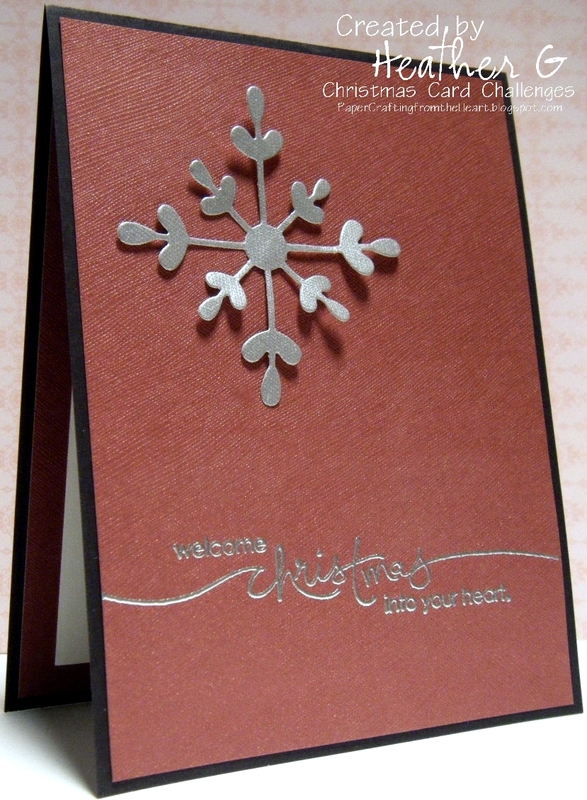 Love the silver embossing and silver snowflake. Embrace the CAS, Heather! :D You do it so well, if this card is any example. 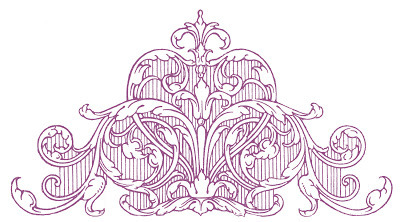 Love the rich colours with the silver.